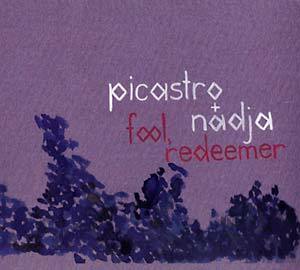 "Fool, Redeemer is a semi-collaborative split release between Canadian acts Picastro and Nadja. Having toured together and shared a stage many times over the course of the last half-decade, the two bands thought it was time to finally release something together. Nominally a split album, with side A featuring tracks by Picastro and side B a sidelong track by Nadja, members of both groups contributed to each other's songs. And a certain mutual influence seeped into the compositions, Picastro's dark-folk appearing at the beginning of Nadja's track 'Venom' and Nadja's trademark drone/dirge tendencies lending a heavier, noisier edge to Picastro's songs."